If you're searching for a small, stylish e-cig that can make large clouds of vapor, our Kangertech SubVod Starter Kit is the perfect fit for you. 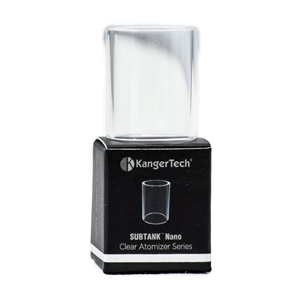 The compact Kangertech SubVod features a top-fill subtank and adjustable airflow, which gives the user full control over vapor production. The sub ohm vaping kit comes with a battery and USB cable equipped with pass-through technology for rapid recharging. If you're ever looking for a replacement vape tank, a backup battery or an extra sub ohm atomizer tank for your Kangertech device, Vapor Lounge's SubVod collection has what you need.